Theology and Slavery is definitely a scholarly read, not for the faint of heart when it comes to footnotes, detail, and deep, deep background information. Having given that warning, I thoroughly enjoyed this book. Being from the South, I am always intrigued to learn more about the role of slavery – then and now – in shaping the culture. Slavery of course is an evil part of the history of the United States – but it is history nonetheless and should not be forgotten. This book combines two of my favorite things: history and theology. The author David Torbett seeks to highlight two prevailing views on slavery during the time of the Civil War, and he uses the two most outstanding American theologians of that period to do so. Charles Hodge was the conservative, traditional theologian with an inerrant, inspired view of God’s Word as the ultimate source of spiritual and moral authority. Horace Bushnell, who has been called the father of modern liberalism, was the liberal theologian who looked to inject new insights and sources of inspiration into his spiritual journey. Both were pastors and had very influential voices in antebellum America. 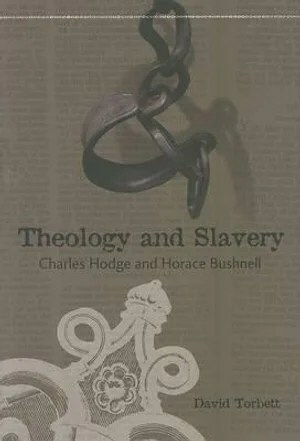 The importance of the church and her leaders to shape the culture is imminently evident in these books, as Hodge and Bushnell drove the contemporary thought of their day on the issue of slavery in America. Eventually, their ideas would help lead to it’s demise. If you are looking for a book that explains the complex, intricate problem of slavery in America (and particularly the South) using theology as a base of discussion, this book is a great resource.